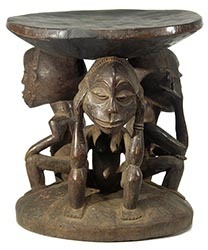 Despite their wonderful forms and quality of carving, we believe these stools were made to be sold. 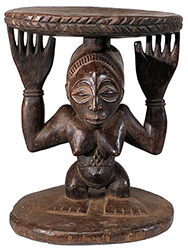 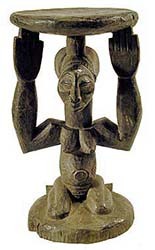 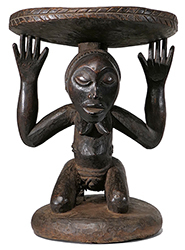 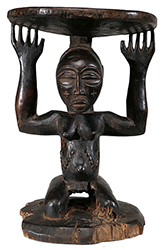 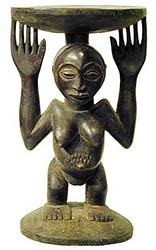 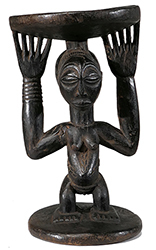 Most Luba art relates to kings and important chiefs, who defined their power by the display of prestige objects during important ceremonies. 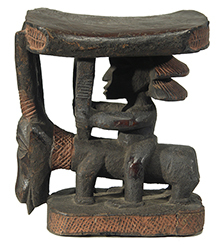 Stools were among the most important of these objects. 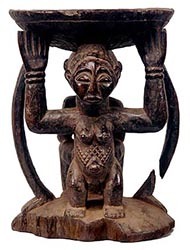 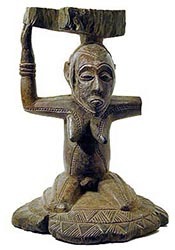 The ruler was literally as well as figuratively supported by a female caryatid figure, which also symbolizes the continuity of power in a matrilineal society. 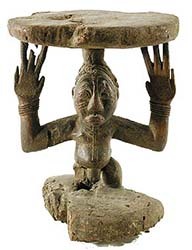 Elaborate coiffures and scarification patterns attested to the high rank of both the depicted female and the owner of the stool. 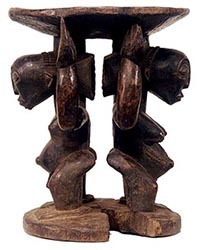 Stools like these are among the most prized in Africa. 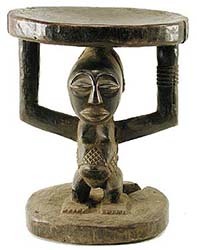 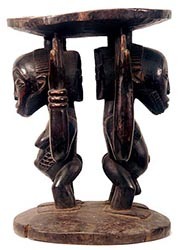 The Luba are also known for their figurative headrests, which helped to protect their elaborate hair styles.